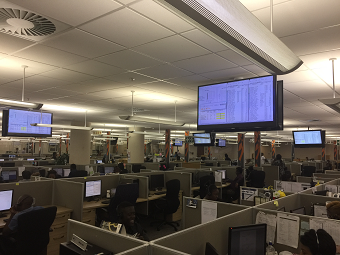 A large South African financial institution approached AVC to implement a signage display solution in their client contact centre. 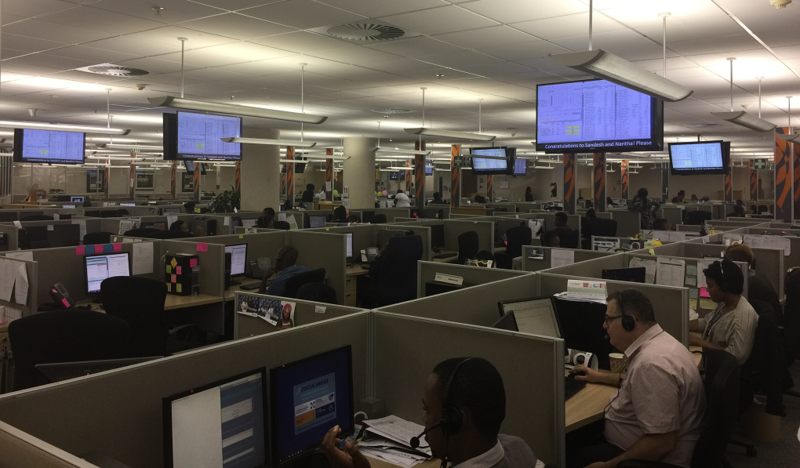 The client needed to display calls statistics, ticket issuing, and resolution of tickets in their call centre. The information was to be drawn off their AVAYA telephony system and displayed to members in the call centre. In addition, the client also wanted the ability to display messages at the bottom of the displays. 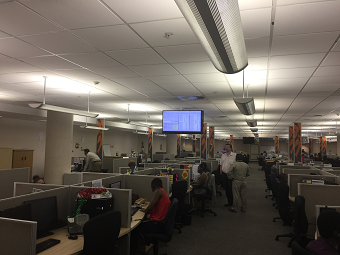 The scrolling text at the bottom of the screen would be used to congratulate members in the call centre for their performance, display birthday messages and general announcements affecting the team. 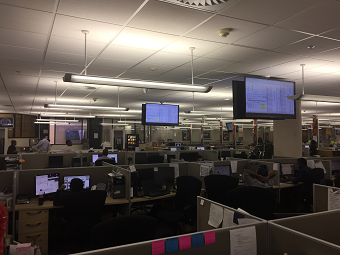 The client wanted to display the information across 20 displays staggered throughout the call centre, comprising of 5 existing displays and 15 new displays. Taking into account the number of displays, traditional HDMI signal distribution could become quite costly. As a more cost effective solution, AVC decided to use HDMI over IP technology for signal distribution, which nearly halved the cost of conventional HDMI long distance signal distribution. A BrightSign digital signage player was added to the system for the ability to display scrolling text messages, and to draw in Web-browser content to display the AVAYA call statistics. Alfatron IPM1-Tx and IPM1-Rx were used as encoders and decoders for the HDMI signal to each display. The backbone of the system was a NETGEAR FS728TP-100EUS network switch which provided POE (Power over Ethernet) to each encoder and decoder, and carried the HDMI signal via IP to each encoder and decoder.